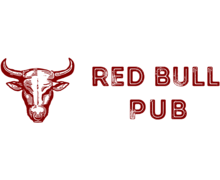 How to Create a Bull Logo? This animal symbolizes invincible power, persistence, sacrifice, and self-denial. Power and strength are the qualities that designers intend the bull logo to have. As a symbol of power and strength, a bull should not be “chained” in a frame, but if you have to do it, think about the size. Red Bull selected two animals, Chicago Bulls – a head of a raging Taurus. Although each company is engaged in different business areas, what brings them closer is the character that the image reflects. Companies that design this kind of logo most often go for a combination of red and black that enhances rage and courage, although Feruccio Lamborghini depicted a golden bull on his emblem. This symbol is often used by logistics companies – cargo carriers like Grand Bull Cargo Logistics, Meritor, Road Bull Logistics. Lamborghini, a supercar manufacturer, placed a Taurus on the logo as it originally manufactured heavy trucks. How do I create a bull logo for my brand?